K12Blueprint is a great resource for technology in education. 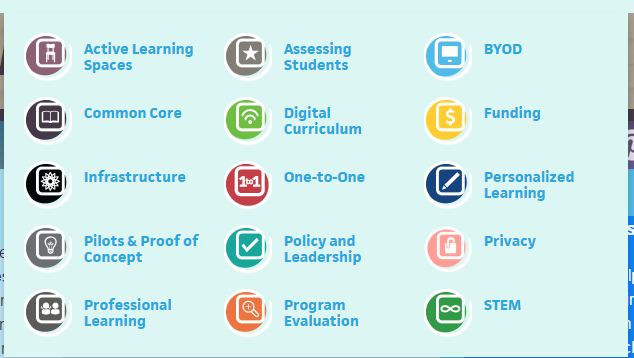 There are toolkits with information and resources for developing and deploying technology initiatives, information on choosing the right device for your schools, software and apps, curriculum, news, research, and blogs from educators and edtech leaders. The information and resources are timely, relevant and easy to use. There are a ton of resources and information on this site - take a look around and see what it has to offer. It is sponsored by Intel Education, Tech&Learning, and Clarity Innovations. Disclosure: I am a Tech&Learning TL Advisor and blog for them, write articles for them, and present at TechForum events.